Episode 190. Aired November 2, 2016. 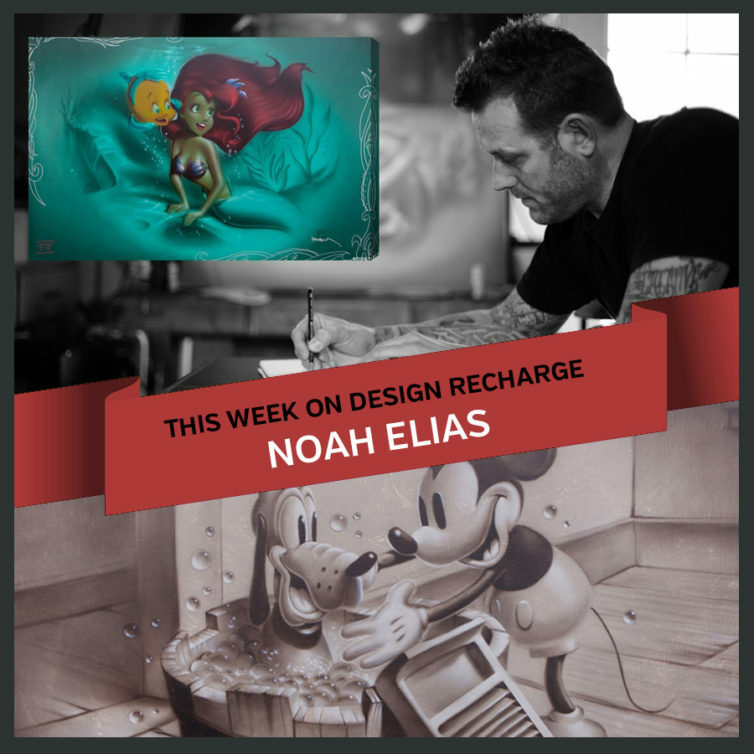 This week on Design Recharge I am interviewing Noah Elias. Noah has created an amazing business working with huge brands to create his artwork and share his God-given talent. He has created a platform to help others impact more people, make more money and live a life of significance as a successful creative, maker, or entrepreneur. Through self-discovery Noah was able to expose his false self and understand who God wanted him to be and as a result is able to use his art to help people through their struggles. There is so much to talk about in regards to life, business, reaching an audience, and uncovering your purpose. I hope you will join us as we talk about Noah University and the ReImagine conference. There is hope and joy and Noah will share his story. Join us LIVE Wednesday, November 2, 2016. If you already get the weekly newsletter no need to sign up you will get the link in your inbox today 30 min before the show.